LPs looking at Africa are set for a busy year as fund managers focused on the continent present them with a diverse buffet of private equity strategies. Private Equity Africa looks at some of the key vehicles to look out for in 2019*. ADIWALÉ PARTNERS is on the fundraising trail with a small-cap regional fund. The vehicle is targeting opportunities across West Africa, particularly looking at the Francophone region. ADVANCED FINANCE AND INVESTMENT GROUP (AFIG) is in the market with its sophomore fund. The generalist closed-ended fund has a leaning towards agriculture, manufacturing, energy, healthcare, financial and business services deals. 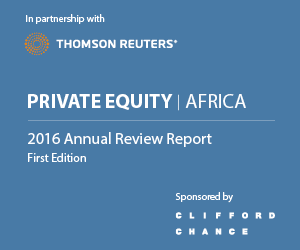 AFRICA CAPITALWORKS is raising a permanent capital private equity vehicle. The fund is structured to invest across Sub-Saharan Africa, and has received regulatory clearance to sell its fund to US-based LPs. AFRICINVEST is in the market with its sophomore financial services-focused fund. The fund targets companies operating in the financial services sector across Africa. The fund had a third close in 2019. AFRICA INFRASTRUCTURE INVESTMENT MANAGERS (AIIM) is on the fundraising road with its sixth closed ended Africa-focused specialist vehicle. The fund is focused on the infrastructure space. AIIM has already made a number of investments from the fund. ALITHEIA IDENTITY MANAGERS is raising its small-cap fund, looking to back companies across Sub-Saharan Africa. The vehicle has a specialist focus on women-owned business and the fund team is led by three female partners. AMETHIS FINANCE is raising its second generalist vehicle to target investments across Africa, with a focus on lower mid-cap deals. The fund is structured as a pure equity vehicle. The fund had an interim close in 2019, with the final close expected by May 2019. ÀRGENTIL CAPITAL PARTNERS has been raising a specialist West Africa-focused fund. The vehicle has a focus on renewable energy and clean fossil fuel power firms. ASCENT CAPITAL AFRICA is on the fundraising trail with its sophomore regional generalist fund. The vehicle has a focus on East Africa and is 50% larger than its maiden vehicle. CARDINALSTONE CAPITAL ADVISERS (CCA) is on the road with its regional maiden vehicle. The fund has a generalist strategy and is looking to back small and medium sized enterprises based in Nigeria and Ghana. The fund hit first close in 2019. CEPHEUS GROWTH CAPITAL PARTNERS is raising a country-focused generalist fund. The investor is looking to back companies across Ethiopia – with a leaning towards the consumer and agriculture sectors. The fund hit first close in 2018. CRITERION AFRICA PARTNERS (CAP) has been on the road with its specialist vehicle. The fund will invest in timber assets across Sub-Saharan Africa, with a focus on Southern and East Africa. The fund hit first close in 2018. DEVELOPMENT PARTNERS INTERNATIONAL (DPI) is in the market with its third generalist private equity fund. The Africa focused fund is almost two thirds higher than what it was initially looking to raise in the previous fund. ETHOS PRIVATE EQUITY is on the road with its latest buyout vehicle. Ethos also has three other vehicles on the road. Two are structured as specialist vehicles, with an allocation to Sub-Saharan Africa. The other is a mezzanine fund, the manager’s first in the space. EXEO CAPITAL, jointly-owned by Agri-Vie and Stanlib Asset Management, is on the fundraising trail with its sophomore specialist agriculture fund. The vehicle is targeting deals across Sub-Saharan Africa. EQUATOR CAPITAL PARTNERS is working towards the final close of its Africa-focused financial services-dedicated fund. The fund will solely invest in Africa – Equator’s previous funds have mainly been invested in Asia. The investor delivered its first deal from the fund in 2018. FANISI CAPITAL is on the final leg of raising its sophomore vehicle. The East Africa focused fund is over 70% larger than what was raised in the previous fund. The vehicle follows a generalist strategy. INSIDE CAPITAL PARTNERS is on the road with its maiden generalist vehicle. The vehicle that targets investments across Southern and Eastern Africa, has already touched close. MEDITERRANIA CAPITAL PARTNERS is raising its third generalist fund. The Africa-focused vehicle sees Mediterrania grow its footprint beyond the Maghreb region. PAN AFRICAN PRIVATE EQUITY (PAPE) FUND MANAGERS has been raising a mid-cap focused fund. The investor has a generalist strategy and is looking to back mid-cap companies across South Africa. PAPE has already sealed a number of deals from the fund. PHATISA is on the road with its sophomore agriculture-focused vehicle, to target opportunities across Sub-Saharan Africa. The investor is looking to back companies in the agriculture and consumer food sectors. The fund hit first close in 2018, with final close expected by mid-2019. SPEAR CAPITAL is working towards the final close of its sophomore region-focused generalist vehicle. The fund will initially target investments in South Africa, Zimbabwe, Malawi and Zambia, with the possibility to expand to East Africa at a later stage. SYNERGY CAPITAL MANAGERS is nearing the final close of its sophomore region-focused generalist vehicle. In this second fund, the investor will continue to deploy capital across Nigeria and Ghana, expanding its strategy to Liberia and Sierra Leone. The fund had a first close in 2018. SYNTAXIS CAPITAL AFRICA in partnership with AFRINVEST ASSET MANAGEMENT is on the fundraising trail with its Sub-Saharan Africa-focused generalist vehicle. The fund will look to make investments in small to mid-cap companies. 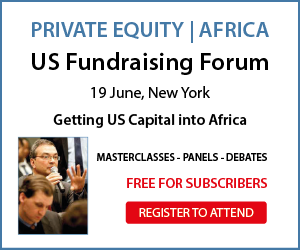 T5 AFRICA CAPITAL PARTNERS is on the fundraising trail with a mid-cap fund. The T5 platform is headed by a number of ex-Abraaj senior executives, including Lloyd West and Jacob Kholi. TLG CAPITAL is in the market with an open-ended debt vehicle. The fund follows a generalist strategy and will opportunistically look at mezzanine investments. UHURU INVESTMENT PARTNERS, set up in 2016, is on the road with its maiden generalist vehicle. The investor plans to back mid-cap companies primarily in Kenya, Côte d’Ivoire, Nigeria and Ghana. VEROD CAPITAL is on the fundraising trail with its region-focused generalist vehicle. The vehicle is targeting opportunities across West Africa, particularly in the Anglophone region. These include Nigeria, Ghana, Liberia, Sierra Leone and Gambia. ZOSCALES PARTNERS is raising an East Africa-focused vehicle. The fund is structured to have a 70% exposure to Ethiopia – with the remainder going into Tanzania and Kenya. The investor delivered two deals from the fund in 2018. ZEBU INVESTMENT PARTNERS (ZIP) is raising its sophomore specialist vehicle, looking to invest in the agriculture sector. ZIP, formerly Databank Agrifund Manager, is targeting food production companies across pan-Africa, with a focus on Sub-Saharan Africa. The fund recently completed its first close in 2019.